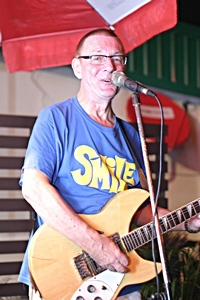 Shenanigans Irish pub celebrated the fourth anniversary of its Jomtien Beach location with free food and traditional music. 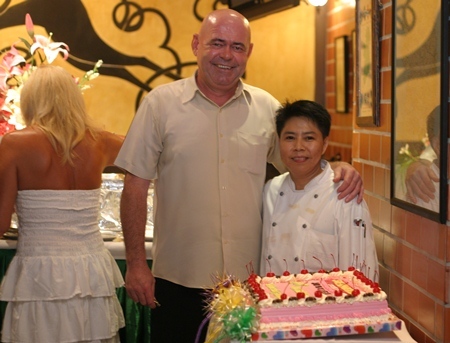 Owner Stewart Fraser hosted the Sept. 5 event featuring a complimentary European buffet with a concert of Irish folk songs. 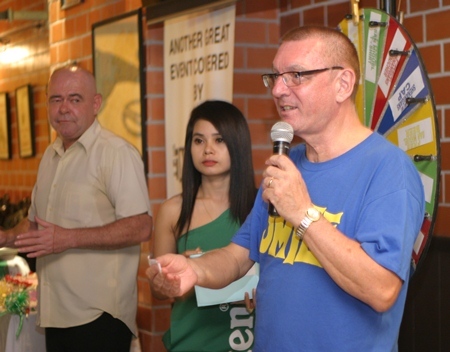 Thais and foreigners danced arm-in-arm and congratulated Fraser, who launched Shenanigans in Pattaya with a branch now located in The Avenue galleria. 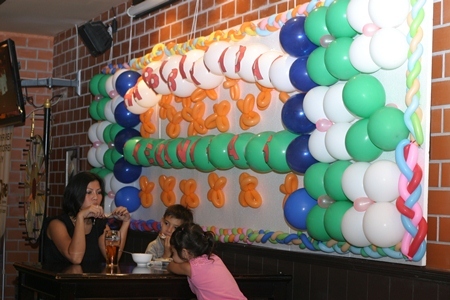 The party also offered games and prize drawings before dimming the lights and bringing out a large anniversary cake. 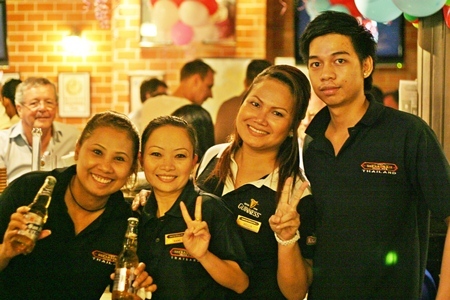 Shenanigans Jomtien is open daily from 11 a.m. to midnight. Irish folk songs fill the air during the birthday celebrations. Stewart Fraser prepares to blow out the candles on the birthday cake. Shenanigans staff are a big part of the fun. Spinning the wheel for the lucky draw prizes.